Drawing and Painting is an amazing talent for all the kids and toddlers.It is also be one of the most creative things to do when they have nothing to do as it can improve the talent and also develop their minds.Gameiva here brings the latest and amazing drawing game and educational fun game for kids which can help them to learn to create beautiful images by themselves, learn to use the brush and applying colors into them and also learn lot of new words and many educational stuffs. Lets have a look at the latest addition to the kids toddler educational games also for the Halloween special painting games by "Gameiva" as given below. 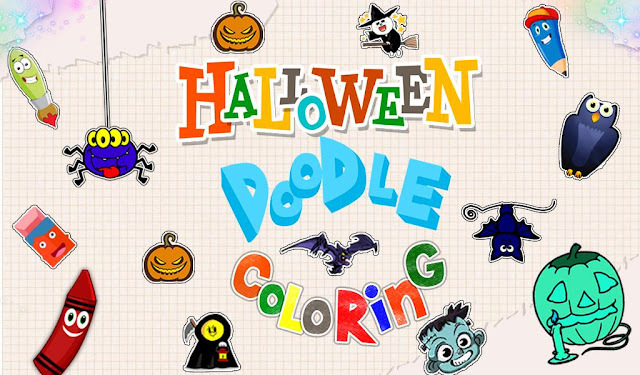 Create your own Doodle for the festival of Halloween from this amazing Halloween painting game for kids. Choose your favorite Halloween character from dozens of options of the cartoons. Start coloring each from the different options of coloring tools available. Add Halloween special stickers to it to make it look more attractive. Save it to your gallery which you can show it to your friends later. Lot of different coloring images to choose from. Lot of different coloring tools and many different colors. Use tools like paint brush, pencil, etc. which will all give different amazing coloring effect. Add lot of different stickers to make it look more attractive. Babies love playing with mobile phones but why not let them play with the mobile while benefitting them with lot of learning activities. Open your flip mobile phone and start playing lot of different educational games. Select any of your choice from learning or just start playing it. Learn the names of lot of different animals, birds, all the alphabets, different fruits and vegetables and much more in it. The friendly voice combination with it will help will to understand and remember all the words better. There are lots of different options of educational activities in the game. Learn the names of many different birds, animals, fruits, vegetables etc. in this game. The entertaining educational activities will help the kids to learn them with fun. Share this educational game with all your friends and share the knowledge. Children will surely develop a very good skill with the brush and colors with the help of these games. These are specially made for kids by "Gameiva" keeping the educational activities and the toddlers imagination in mind. These educational and learning activity games will highly benefit all the kids for various different useful stuffs in life. They can also learn it in the most entertaining and fun way. The "Halloween Festival" is just 3 days away that is on Saturday and kids around the world are getting prepared for this amazing fun filled festival. Keeping all the different forms of preparations and entertaining activities for the Halloween day in mind Gameiva brings you with the latest creations of Halloween day fun games for kids. These games features lot of different fun activities which they kids can play giving them the exact feel of having fun at the Halloween right at Home. Let’s have a look at the top new Halloween games by Gameiva as given below. 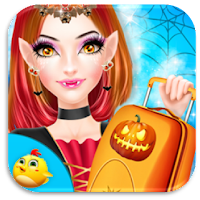 The Halloween princess is going to attend the Greatest Halloween celebration ever and she has to first complete her total makeover before she reaches her destination through the flight. Help the Halloween girl with all her makeover activities and also help her to have the best Halloween look at the festival. Choose the best Halloween dress for her in the dress up room and help her decorate her suit case with different stickers and tag on it. Wash her hair and choose the best hair style for her with lot of different colors of hair style to choose from. Finally Board the flight and enjoy the festival of Halloween. Select your favorite suitcase and add the tag with your name and a Halloween sticker to it. Get your luggage checked at the Airport. Get your passport checked and verified. Select the best Halloween dress which suits your personality the most. The Halloween is a time of full entertainment and fun for everyone especially for kids as they will be going from house to house wearing their scary Halloween clothes and asking for trick and treat. Play this amazing Halloween special party game for kids where you can dress up as your favorite Halloween character and go from house to house asking for treat or trick. Do lot of different activities like makeover activities, dress-up for the Halloween and much more. Finally there is a special surprise for you and your friend’s, attend the fun DJ party for kids and get on the dance floor to show your dance moves. Get dressed up with your favorite Halloween clothes. Play many different fun Halloween games. Clean your room when its gets untidy. Get down to have a delicious dinner with your friends. Finally get on the dance floor and dance to the song played by the DJ. These were jut 2 of the top Halloween games by Gameiva. You can find lots more of many different categories related to fun, entertainment, education and much more in the Gameiva channel at Play Store. Gameiva brings you the latest creations of most loved categories of games and apps which are all hugely loved by kids. We are entirely devoted to building user friendly games and apps related to fun and learning for better educational familiarities and enjoyment for children. Stay with us for the latest updates of Gameiva on Google play and get more excellent apps. 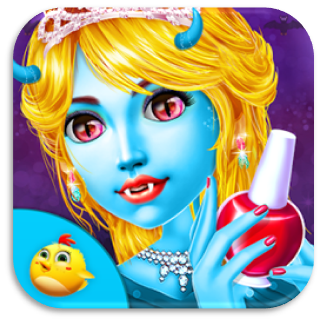 Download from play store, Play and Share all these Halloween nail salon games with your friends and have fun with the nail Arts on this festival of fun filled scary Halloween. 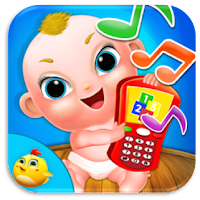 Get more educational and free fun android games for toddlers at Gameiva. These educational and learning activity games will highly benefit all the kids for various different useful stuffs in life. They can also learn it in the most entertaining and fun way. The Gameiva comes with lot of different educational games for kids with lot of totally new and challenging educational tasks for kids. These games are specially made for kids with the imagination they have with the different stuff they see in their day to day life everyday. Lets have a look at the latest 3 games for kids with many different activities to learn from it. Enjoy coloring lot of different uncolored funny images for kids. Learn to add the perfect colors into different images as per your imagination. Choose from dozens of uncolored images. 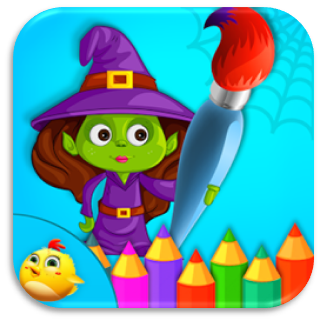 Do perfect coloring to all the different birds, trees, animals and much more to choose from. Select your favorite coloring tool then choose the color for the image and start coloring also using various different stickers and effects to it. Choose from lot of different colors. Select your favorite paint brush to start coloring. Choose images from lot of different options of images. Save the image into your gallery and share with all your friends. 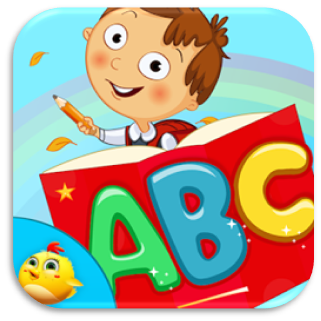 Learn all the alphabets from A to Z in a totally new and fun way in this educational game for kids. 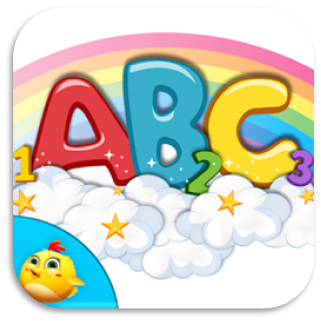 Start the game and choose the alphabet and learn different words starting from each alphabet. All the different words from each alphabet will be shown with an animated cartoon and voice combination which will help to learn the words and the alphabets easily. Touch on the word and the animal that starts from the alphabet you have chosen and watch them all do a different funny activity. Choose any alphabet and learn lots of different words from it. Animated cartoon and voice combination to support better learning of the words. Lot of different funny activity by all the characters in the game. Toddler learning game is helpful for kids to learn different preschool activities. Here in this Toddler Brain Game 15+ educational activity included in fun way to learn basic math fundamentals & other activities. Kids will love this game its new way to learn & keep them busy as well as entertaining. Tap the color that appears most. Drag through the numbers to make the indicated value. Sum up panels equals to the indicated numbers. Tap the blocks in the opposite order they appeared. Move the umbrella with tap. Avoid the bomb, connect the flags raise your score with star. These Latest Educational games for kids will help them learn the basic educational stuffs in life with lots of fun and learning activities. Download from play store, Play and Share all these amazing Educational and Activity games for kids with all your friends and enjoy your day with friends and family. 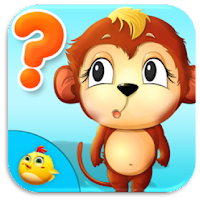 Get more educational and free fun android games for kids at Gameiva. These educational and learning activity games will highly benefit all the kids for various different useful stuffs in life. They can also learn it in the most entertaining and fun way. Share all these fun activity games with your friends and enjoy your time with them. The Gameiva is yet back again with some new and latest Educational Games for Kids with whole lot of new activities for kids which will help them to learn lot of new stuff which they will be learning in the school. 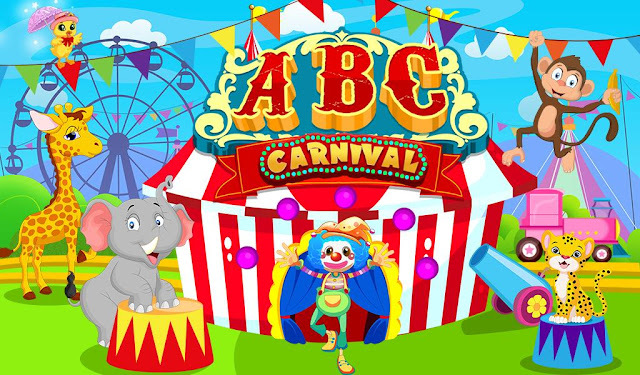 Learn the Alphabets and different numbers with lot of different funny cartoon characters and by playing some entertaining games which will surely get the kids attracted into the game helping them to learn a lot as well. 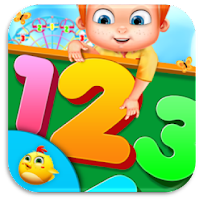 Let’s have a look at all the new different games by Gameiva to learn the numbers and alphabets. The ABC carnival is here to teach all the kids to learn all the alphabets in a totally new and fun way. Learn many different words starting from each of the alphabets and then draw on them. Play the cannon of alphabets where you will be shot with a volley of characters and you will have to burst down the specific character you are told to find. Also learn all the numbers in a fun number game. All these games are made very easy to play and understand easily which will benefit in learning the alphabets easily. Play different number games with the funny joker. Learn alphabets and also learn to paint on them. Learn lot of different words for each of the alphabets. Play the cannon of alphabets and learn the alphabets in a totally new way. Share this educational game for kids with your friends and have fun learning. 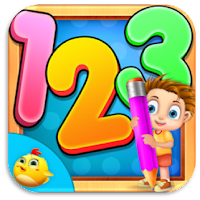 Learn the numbers all, the alphabets and also draw beautiful paintings with lot of different color filled crayons in this latest Tracing Letters for kid's game. Color on the dotted figures of all the alphabets from A-Z and all the numbers. Choose a lot of different variety of beautiful and attractive colors from the options. Also use the drawing tool to paint on the painting pad with many different varieties of color pencils, brushes and crayons. Let's play lots of different number games to learn the different operations with numbers like multiplication, subtraction, division and addition. But first learn to differentiate between the odd numbers and even numbers in a fun Giant Wheel number game. There are so many different fun activities in this game which will engage the kids into playing it and learning from it. Arrange the funny dancing numbers into its position to complete the level to move on to the next stage. Download from play store, Play and Share all these amazing Educational and Activity games for kids with all your friends and enjoy your day with friends and family. Get more educational and free fun android games for kids at Gameiva. These educational and learning activity games will highly benefit all the kids for various different useful stuffs in life. They can also learn it in the most entertaining and fun way. Share all these fun activity games with your friends and enjoy your time with them. Aren’t you excited for the Halloween which is just a few days away? Everyone is pretty excited especially the kids who are collecting their best ideas for the dress up and the other activities for the day of Halloween. Gameiva has brought a new collection of totally new and different Halloween activities, Games and many new things to learn. These entertaining games for kids can help them learn many different activities through many fun, entertaining and learning activities. Lets have a look at the top fun Halloween festival special game for kids. Enjoy lot of fun activities in this Halloween girl makeover game for girls and kids. The Halloween girl needs a quick makeover for her appearance for the big Halloween festival which is coming very soon. Start your makeover salon and choose any of the scary customers and begin all your makeover activities. Wash the hair of the girl and trim it to give a proper look. Use the towel and the drier to dry the hair after it has been washed. after all the makeover activities are over help her to choose the best Halloween outfit which suits her hair and face makeover. Wash the hair, trim it to give it a perfect look. Choose from a lot of different colorful designs for the hair. Do face makeover and remove all her pimples and dark marks with different makeover tools and creams. Design the eyebrows, use the lipsticks and give her the maximum beauty. 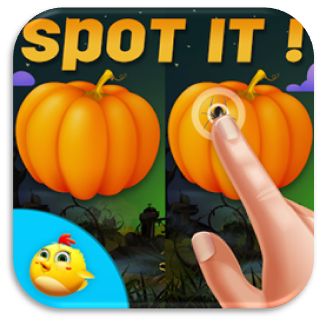 A very special spot the difference game for the Halloween festival for all kids. This is a special spot the difference game because probably for the first you will be having to find the difference from 2 animated views of the Halloween characters. Choose any of the views from lot of different options to start playing. You will have to hurry up on each level as the time is very less for each views. Get started with this thrilling game and complete all the Halloween special levels. More than 18 different views to find the difference. The animated characters in the views will add to the fun in the game. Find the difference within the given time. Use the hint if you find it difficult to find any difference. The monsters are ready for a thrilling dance party but they don't know to dance well. So now as a dance teacher you have to teach them to see that they do some perfect steps and dance moves. Teach them various different skills in your dancing school. There are many scary monsters waiting for their turn to learn dancing. So get started by choosing them one by one and teach them the perfect dance moves. Watch out for the arrows which will be guiding you with the different steps. tap the perfect arrows in the perfect time. watch the monsters dance and see if they are making any mistakes. 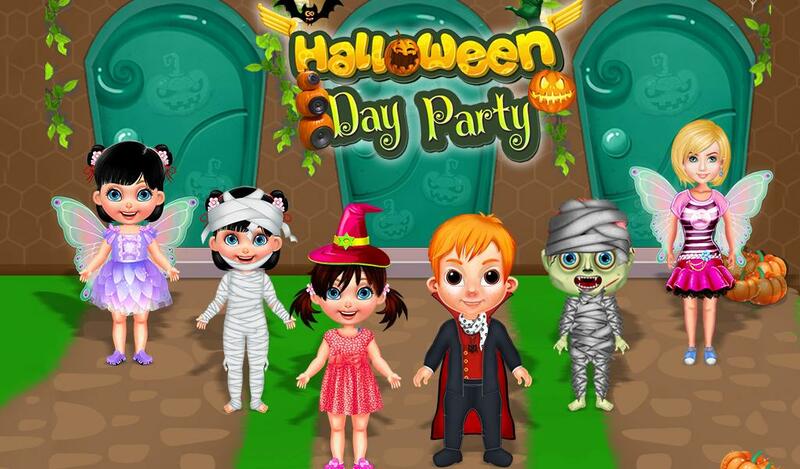 Share all these Halloween games for kids with your friends and have fun at the party. 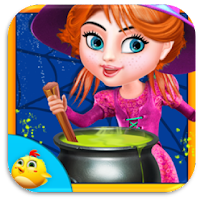 Download from play store, Play and Share all these Halloween activity games for kids with all your friends and enjoy your "Halloween Day". 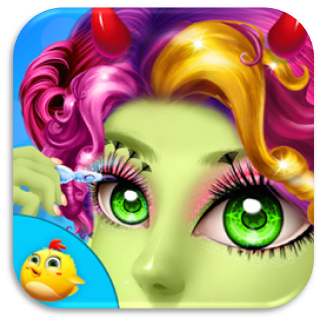 Get more educational and free fun android games for kids at Gameiva. These educational and learning activity games will highly benefit all the kids for various different useful stuffs in life. They can also learn it in the most entertaining and fun way. Drawing and painting is really an amazing talent which can catch the eyes of many people. Learning to paint and draw from the childhood will really help in growing the talent. 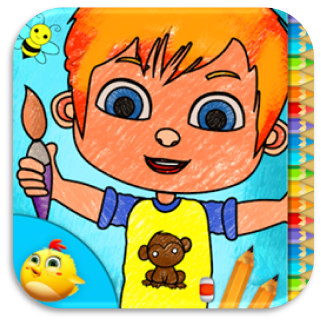 Gameiva brings you a superb collection of drawing and painting games for kids which will help them learn to draw and paint easily. Also these games will help them to paint and draw by themselves and also learn it properly. 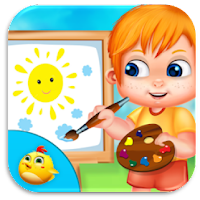 The below given are the top 3 games you will find for your kids to help them learn painting and drawing by themselves. Add lot of different stickers to make it look more attractive. and Save it to gallery. This will be the best way to learn drawing and also painting for kids with dozens of different options and other coloring features. Select any of your favorite pictures and use your imagination to give it the best colors to make it look much more beautiful than it was. Also choose any of the uncolored drawing paper with lot of different designs and different beautiful background. Use any of the painting tools to make your own images and also paint beautiful colors on it. Finally learn to paint and draw by yourself with the help of this game. There are all the required painting features in this painting game for kids. Select any of the uncolored drawings and paint beautiful colors on it. There are lot of different options and features to color on it. Also make drawings on your own on beautiful ready-made backgrounds. Learn to draw animal is a complete drawing tutorial of many different kinds and breeds of animals in a very easy way. 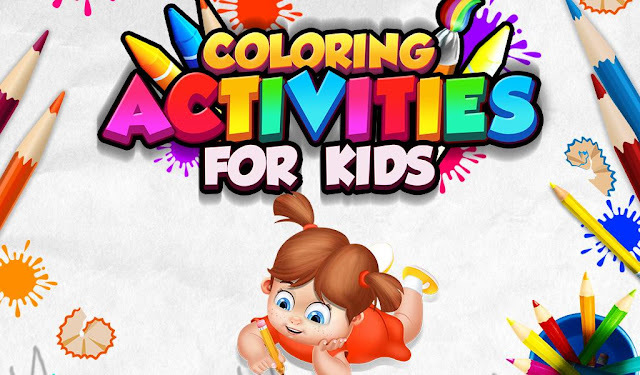 You don't need to have any drawing skills to use this kid's activity game. This game is specially made with the features and tasks which the kids will surely love and enjoy. Just follow the guidance and start drawing following the line till the animal is totally complete. Also paint the animals with your favorite colors and make them look very original. This game is very simple to play and also very interesting. This game has many kind of animals cartoons which you can use to draw beautiful paintings. Download from play store, Play and Share all these special drawing and painting games for kids with your friends and have fun with the nail Arts on this festival of fun filled scary Halloween. 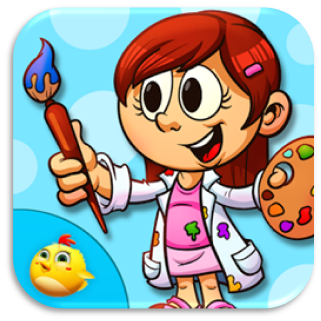 Get more educational and free fun android games for kids at Gameiva. These educational and learning activity games will highly benefit all the kids for various different useful stuffs in life. They can also learn it in the most entertaining and fun way. To make this October 31st a special day for every kid who are preparing for the Halloween we had come up with some fun filled amazing games for kids earlier. And right now within just few days we have come with a new collection of Halloween games of totally new category for kids. 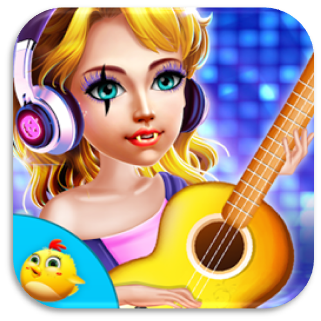 You can start your salon activities with many Halloween special monsters and monster princess with these latest Halloween games by Gameiva. Let’s start preparing in a totally new way with all your friends and these friendly monsters by completing all the different activities in the salon. 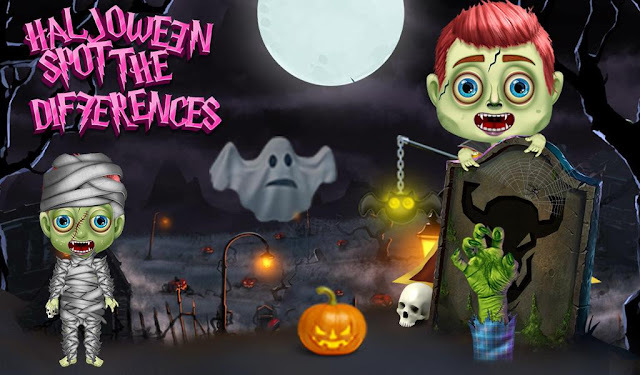 Lets have a look at the top 3 latest Halloween Salon games for kids by Gameiva as given below. Help the Halloween girls with their makeup for the festival of Halloween which is coming soon. Be the owner of your own hair salon and choose the customers one by one. Put the Halloween special shampoo on her hair and clean it with the washer. Use the drier to dry off the water on her hair. Use the towel to clean the hair after it has been washed completely. Use all the other tools and complete all the activities. And yes you need to do it fast as the time is very less because there are lots of customers waiting in line for the turn in your salon. Choose your favorite Halloween customer. Wash her hair first and cut it to give it a better look. Use the drier to dry the hair. Use the perfume to give a nice odor to her hair. The monsters need a makeover done very quickly and you have to help them with all their makeover requirements. 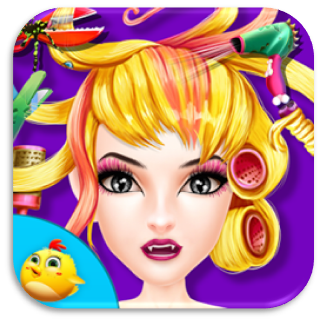 Choose any of your monster customers, bring them to your parlor and begin with lots of fun makeover activities on them. Wash their face and hair and use all the shampoos and cream to make their hair look beautiful. Take them to the spa and also to your hair salon. Finally when you are totally done with the hair and the face makeover bring them to the dressing room and select for them the best and the most suitable clothes. Select the monster customers one by one. Wash their hair and apply shampoo to them. Wash their face with all the different beauty creams and make them shining. Help them with their dress up and choose the best dress matching their hair style. The festival of Halloween is closing by and it is the best time that you prepare your dressing styles and shape your nail in a scary way. 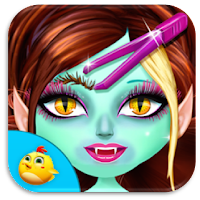 Learn lot of different Halloween nail art activities in this game Halloween Nail Art. There are lots of different scary costumed customers in your spooky nail salon. Select any of the customers and start you activity as an experienced nail artist. Complete all the design on the nail using lot of different salon tools and make your customer the best looking person during the Halloween. Lot of different customers to choose from. Choose any of them and start the nail salon activity. Do different scary design on their nails. Use all the makeover tools to make them look totally different from all the others. 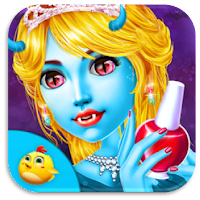 Download from play store, Play and Share all these Halloween nail salon games with your friends and have fun with the nail Arts on this festival of fun filled scary Halloween. Get more educational and free fun android games for kids at Gameiva. These educational and learning activity games will highly benefit all the kids for various different useful stuffs in life. They can also learn it in the most entertaining and fun way.